I am cautiously optimistic that upcoming meetings with the Martha’s Vineyard airport commission will result in an acceptable resolution to the much-discussed airport noise situation, but in response to your Oct. 2 article and reader comments, I need to clarify a few points. 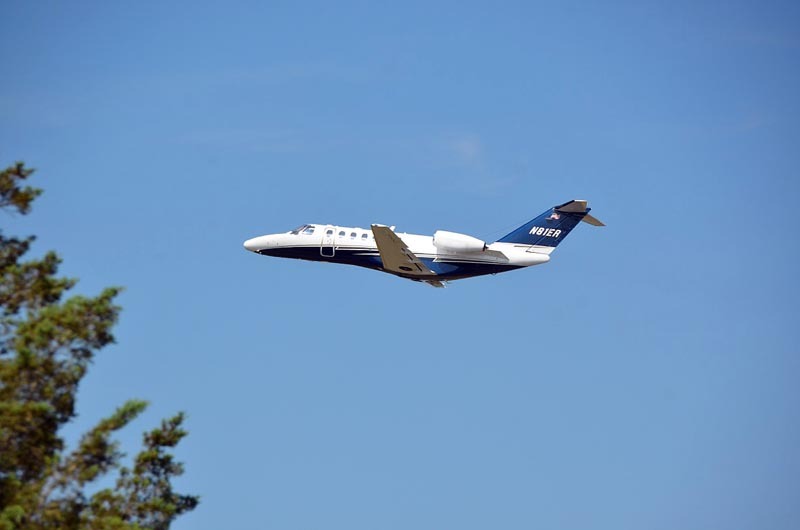 • My neighbors—from Vineyard Meadows Farms homes (there are 125 of us) and nearby communities — are requesting nothing more than for pilots to comply with well-established and FAA-approved safe noise abatement procedures for the Martha’s Vineyard Airport. These procedures include a clear directive (which appears in red multiple times throughout the document) to avoid residential areas. When pilots comply with the established procedures, we will consider the problem resolved. We’re not interested in closing the airport, canceling flights, or any actions that will impact the livelihood of Island residents, visitors, or businesses, as some readers incorrectly suggested. • Mr. O’Connor, Cape Air chief pilot, as promised, urged his pilots to comply with the noise abatement procedures. There has been some improvement, and we appreciate his efforts on our behalf. This continuing problem may indeed be attributable to a few pilots who are disregarding the procedures on multiple flights each day. • In the four weeks between August 29 (when the President left) and Sept. 25, I counted 26 Cape Air flights (plus other private flights as well) that flew directly over our community (inbound and outbound) at an unacceptably low altitude. I would welcome having a third party compare my records to the airport’s arrivals and departures log. I monitored many of these flights on my pilot transceiver to confirm airplane identity. • Instrument days have the opposite effect on noise, so instrument flying has no place in this discussion. When the weather is bad, pilots are generally directed on courses away from residential areas. Taking shortcuts over our homes is not one of their options. These sound issues only happen on clear VFR (visual flight rules) days. • A number of commenters said we should “stop whining,” “get over it,” etc. They believe we should accept the noise, and some even suggest that we deserve it because we bought or built near an airport. I would like to remind them that we (and many of our neighbors) bought our property knowing its proximity to the airport and lived there comfortably for many years — until the dramatic increase in traffic volume and noise over the past 15 years finally compelled us to speak out. Incidentally, the number of people concerned about airport noise has also increased steadily. It’s not just one or two “whiners” driving this effort; it’s a unified group of residents who have every right to expect and insist on compliance. • We completely agree with the commenters who say that it’s unsafe for pilots to take off without full power. That’s why we have not suggested it as a solution. We simply want the big jets (Delta, JetBlue, and older corporate aircraft) to take off with full power, climb to a safe altitude, back off on the power as specified by the manufacturer, proceed out over the water, and then resume full power. This is all been carefully designed by the FAA and the airport for both noise reduction and safety. Full details are available on the airport website. • A final, important point to consider: A Cape Air pilot who takes off on the southwest runway (24), makes a left turn for Hyannis or Nantucket shortly after the wheels leave the ground and flies dangerously low over residential areas will have no real maneuvering options in an emergency. For maximum safety, they should climb out following the direction of the runway, with manufacturer-recommended power settings, until they reach a safe altitude, before they turn on course. A descending Cape Air flight that takes a dog-leg shortcut and flies low over residential areas is just as dangerous. A momentary loss of power could, quite literally, land them in our community. Flying at 1,000 feet and joining the final approach course a mile or two out provides multiple options in the event of an emergency. That’s safe flying. And it complies with the noise abatement procedures, so everyone wins. Considering the upcoming meetings with the airport commission and its members, I have been reluctant to respond to the article and comments. But it is important to provide an accurate perspective of behalf of the members of our communities troubled by the noise. I am confident that this can be worked out to everyone’s satisfaction. Is Cleveland-Hopkins International Airport (KCLE) Reducing Staffing Because It's Running Out of Money? 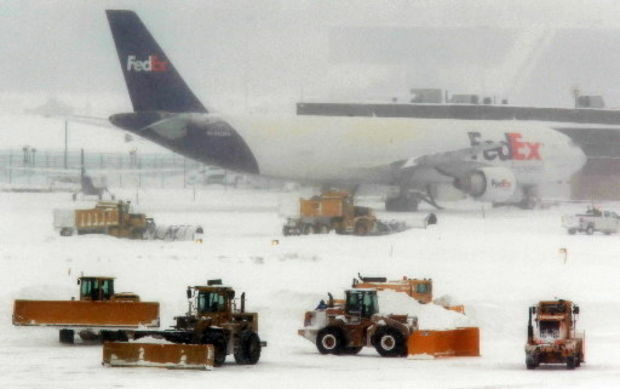 When the U.S. Federal Aviation Administration slapped the City of Cleveland with $735,000 in fines last month for failing to plow and de-ice runways at Hopkins International Airport during the past few winters, there didn't seem to be too much consternation about planes becoming disabled because the runways were too iced up for their brakes to work. After all, the city can't plow streets very well, so how can it plow airport runways, and besides, the Republican National Convention will be here in the summertime, so who cares? In fact, at the Cleveland City Council's Transportation Committee meeting two weeks ago, no one even raised the issue of Cleveland being the subject of the FAA's largest fine in such matters to date. Only city councilman Jeff Johnson even tried to ask a few questions, but he never got clearance to voice his criticisms of the Jackson administration in this matter. The question not being asked is why the city slimmed down its winter runway maintenance crews to below FAA standards in the first place. The standard theory put forth has been that the former director of the city's airports, Ricky Smith (who conveniently bailed out in July and took a new airport job in Maryland), had merely mismanaged the airport's day-to-day workings and had failed to fill some open maintenance positions. But when looking at Hopkins' declining numbers of flights since United Airlines de-hubbed here, maybe those positions went unfilled because Hopkins is running out of money. According to Abdul-Malik Ali, the former manager of field maintenance at Hopkins and the one who informed the FAA of the problem (and who is also suing the city for being subsequently demoted), the airport was short six full-time foremen ($23.33 an hour), 12 full-time workers ($19.86 an hour) and 16 seasonal workers (800 hours annually each, at $17.99 per hour). The amount of salary and benefits off the books for the airport for those 34 workers was $1.4 million, according to Ali. But Ali also says that Smith shortchanged his department $2.2 million out of $2.5 million budgeted for de-icing chemicals, bringing the total to $3.6 million in annual savings. This may not seem like much, as the Cleveland airports (Burke is also included) had $124 million in operating expenses for 2014. But the key factor is that the airports have gone from running a $6.2 million surplus in 2010 to a $9.5 million loss in 2014. The reason those numbers are important is that the Cleveland airport system is run as an enterprise fund, meaning it has to pay for itself. The city can't move money from the road repair budget if the airport comes up short; the airport has to raise fees for airlines to land or parking rates and rents for businesses operating in the terminal. Cleveland mayor Frank Jackson and former director Smith have been throwing each other under the bus in recent weeks, with Jackson claiming the positions were budgeted and that Smith didn't fill them on his own accord. Smith has countered that the mayor's office directed him to cut the budget and the snow removal employees were a part of that. Neither Jackson not Smith were available for interviews for this story. Ali's attorney, Subodh Chandra, said the issue of budget never came up between his client and Smith, and said the decision to cut personnel to clear the runways and the de-icing chemicals was a "bizarre autocratic edict" by Smith. "[Ali] was never told there was a budget problem that the airport had to deal with, and it doesn't make any sense to cut in this area," Chandra said. "It is a service that airports do for safety reasons. It would be like a police department trying to save money by not having anyone to answer 911 calls. It wouldn't even be considered." Maybe Smith was looking down the road at budget problems, based on recent numbers, and didn't inform his staff about it. That would be the huge dropoff in the number of flights to and from Hopkins after United cut their schedule, numbers the media hasn't reported because, some suspect, of their pro-Cleveland RNC coverage. In 2013, before United de-hubbed at Hopkins, there were 181,340 total flight operations at the airport. In 2014, after the de-hubbing, there were 130,762 flight ops. Based on data from the FAA through the end of August, Cleveland will have about 117,000 fights in 2015. That's a 35 percent drop in fights in just two years. To put that into perspective, Cleveland will now be a smaller airport based on the number of flights than Pittsburgh, Cincinnati, Memphis, Columbus, Louisville and St. Louis. Cleveland had 1,789 flights out of Hopkins in July 2010, and just 991 in July of this year, a drop of 45 percent. Fewer flights mean fewer passengers, which means less money. The number of "enplanements" (the FAA term for ticketed passengers) coming through Hopkins was about 4.4 million in 2013. That number dropped to 3.7 million last year. Prorated numbers (based upon flight data through Aug. 31) indicate the number of enplanements will drop to around 3.3 million for 2015. That's a 25 percent drop in just two years. Hopkins gets about $20 in fees per passenger (money from landing and ticket fees, and other sources) according to the city's own numbers. The figure is very high in the industry: Columbus is at $8 per passenger, for example. A drop of one million passengers from 2013 to 2015 for Hopkins would mean about $20 million less in revenue. That's one-sixth of the operating revenue from 2014. The City of Cleveland expects the number of passengers to go up at Hopkins this year, despite the number of flights decreasing. "Although the number of commercial flights is lower than before the Hub termination, the closing of the Hub permitted the city to outreach to other airlines," said City of Cleveland spokesperson Dan Williams in an email. 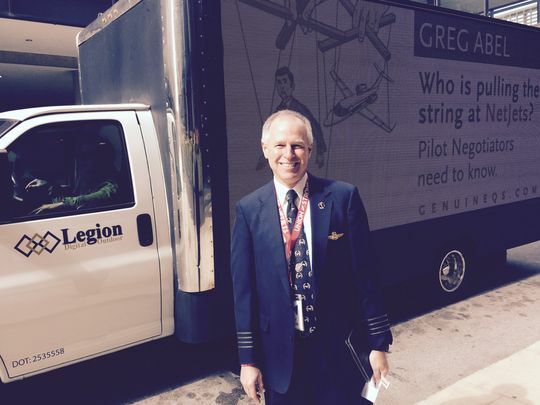 "As a result, more airlines are serving Cleveland and legacy airlines have expanded operations. As a result, a higher percentage of passengers enplaning in Cleveland are originating in Cleveland. The projection for 2015 is that enplanements will exceed 2014." Cleveland is basing those rosy figures on the fact that, with the United hub gone, each plane now has more passengers (fewer small aircraft flying into Hopkins from smaller markets). But in order for Hopkins to hit the 2014 passenger numbers in 2015, it would have to average 34 passengers per plane, six more than in 2014, and quite a bit higher than other airports in the region. Preliminary numbers say may be close to hitting that goal, but everything changes again starting in January, when many current airline agreements end and have to be renegotiated. All of this becomes more complicated given that debt payments and separate airline agreements for how much they pay to use the airport vary and change over time, not to mention how accountants transfer money from one column to another in very complicated ways. But one thing is certain: Hopkins needs to lower its fee structure to attract more airlines but at the same time needs to raise more money from its non-aeronautical revenues to balance the books. Perhaps that's why they have raised the parking fees twice in the past two years (a total of $2.50 a day at city-owned lots). The financial analysts are already taking note. Fitch Ratings downgraded the airport's bonds to "negative outlook" last May because of the decreased revenue from passengers compared to the $20 million borrowed for the terminal makeover currently underway. The negative outlook, Fitch Ratings wrote, "reflects continued concerns over enplanement levels after United Airlines announced service reduction in 2014 ... . Traffic through the first two months of 2015 is down a further 8.2% but management is expecting traffic to rebound later in the year such that full year 2015 enplanements will surpass those in 2014. To the extent this is realized, concerns over operational risks may diminish." Of course they could solve Hopkins' entire financial problem very easily. The city could close Burke (not many fly out of there anymore, either) and sell the 450 acres of lakefront property to some developer who wants to develop more hipster apartments and craft breweries. The result would be clear runways and free parking and lower airfares for flying public. Once again, wishful thinking. A former flight attendant caused terror on a plane when he told cabin crew he wanted to end his life before trying to open the rear door of the aircraft. 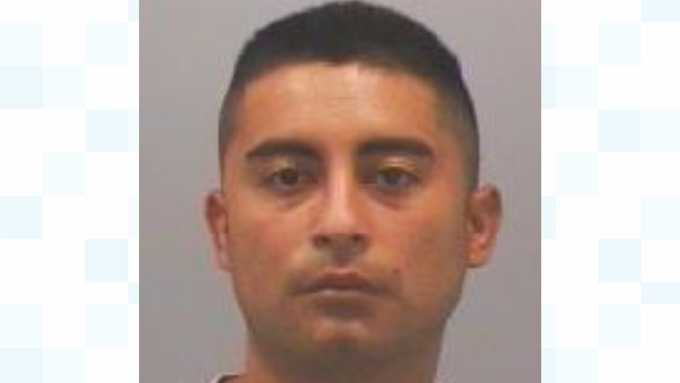 Joseph Hemmingway, 28, was on a Jet 2 flight from Madeira to Newcastle and had been drinking heavily when he started behaving erratically leaving passengers 'scared for their lives'. Hemmingway had told airline staff that he used to work for British Airways and they were petrified he would succeed in opening the airplane's door because of his aviation knowledge. Newcastle Crown Court heard that Hemmingway had started chatting to experienced cabin crew, who 'had never been as scared and shocked', about his former work half way through the flight on August 4. Around ten minutes later he approached the rear of the plane and told two female members of the crew that he wanted to move seats as his neighbors were watching a TV show which showed people taking crystal meth. Hemmingway said this was offending him as his boyfriend had died as a result of taking the drug. He then showed the women a letter from his backpack which was addressed to his boyfriend Lee and it said he wanted to "join him". Cabin crew then saw him take at least three and possibly six Valium tablets and swallow them. Alarmed, they made the pilot aware that they had a problem with a passenger on board. Hemmingway then drank from the cabin crew's water bottles and told them that he had AIDS. After trying to get to the cockpit to speak to the pilot, Hemmingway attempted to open the rear door of the plane and terrified crew were concerned that his flight experience would mean he would succeed. An off duty police officer on board, who was returning from a family holiday, then wrestled Hemmingway to the ground and restrained him with the help of another male passenger. Claire Anderson, prosecuting, said: "This happened with around 15 minutes until landing. In high altitudes, it is impossible to open the plane door but the plane was descending and therefore in low altitudes. With his experience, there was a real concern." Another off duty police officer stepped in to help restrain Hemmingway but he then tried to bite them. Despite the fact that Hemmingway and those who were restraining him were out of their seats, the pilot made the decision to land the plane. Police were waiting on the tarmac and Hemmingway was arrested. Mr Hemmingway admitted that he had drank a litre of beer or wine before boarding and then had drank Prosecco on the plane but denied that this was an excessive amount. However, on August 18, Hemmingway pleaded guilty to endangering the safety of an aircraft at Newcastle Magistrates' Court. Miss Anderson said: "In relation to the cabin crew, they all very experienced but they stated that they had never been so scared and shocked. "Some staff are now wary of talking to passengers who speak to them on board. "With regard to the civilians, they were terrified. They were scared for their lives. "The wife of one of the off duty police officers said that it sent shivers down her spine and that it would take a lot of time for her to get her confidence back when it comes to flying." There was remorse demonstrated and he has a low risk of future offending. It must have been terrifying and there is no way to get away from that. Mr. Knowles said that due to the loss of his partner among other issues such as suffering from AIDS and Asperger's Syndrome, Hemmingway uses alcohol and drugs as a coping mechanism and that is what caused this meltdown. Mr. Knowles added: "He is genuinely remorseful for what he has done and it was totally out of character. "He is looking forward to being able to deal with the problems he has had and put them behind him." Judge Edward Bindloss jailed Hemmingway, of Heaton Road, Newcastle, for 18 months. He was ordered to pay £180 court costs and £100 victim surcharge. The cabin crew have said that this was a harrowing and traumatic experience for them. One said she had never been so scared in her life. I have to take into account several things such as the fact that you are HIV positive and attempted to bite people. The passengers and crew could not escape you. Flying is stressful enough without this sort of incident for these people returning from their holidays. Considering all these matters, it seems to me that an immediate custodial sentence can be justified." Pilots picketing outside Ruan Center in Des Moines Monday. 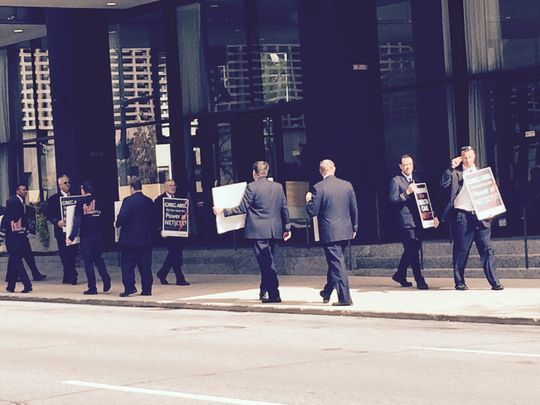 Here’s a sight you don’t often see in the financial power centers of downtown Des Moines: Marchers in business suits and ties carrying picket signs. But there they were Monday, looping continuously outside the high-rise Ruan Center, where captains of industry gaze out on the city skyline, and the elite dine in members-only serenity and splendor. As labor protests go, it was classy. The picketers carried printed signs with fancy fonts and logos. A truck with changing graphics on its side drove around the block carrying the same message. But these marchers are well schooled in class. They're airline pilots, delivering the wealthiest on private jets to meetings, vacations, shopping, ski trips, tournaments or wherever else imagination might lead their clients. Working for a company called NetJets, which owns the largest fleet of "fractional" (jointly owned) jets in the world, they might fly as far as China or as close as a 30-minute jaunt. Asked if the clients are multimillionaires, union Vice President Paulette Gilbert replied, “At a minimum.” That entitles them to smoke on board, sip wines chosen by Wine Spectator experts, and dine on dishes they chose from local restaurants. They can take along uncaged pets of various sorts. “This means NetJets pilots have direct contact with animal hair, feathers, etc.,” says a NetJets website section on employment. “Every passenger on board a NetJets flight receives first-rate service — even if that passenger happens to be a Jack Russell,” the web site boasts. But the 2,700-plus pilots, who belong to the NJASAP (NetJets Association of Shared Aircraft Pilots) union feel while everyone else gets pampered, they get the short shrift. They’ve been working without a contract since 2013, and are in mediation talks. They say the management is seeking “deep concessions” in salary, health and other benefits. They declined to offer specifics, citing the mediation process, but say their wages and benefits have scarcely kept pace with inflation. Union President Pedro Leroux told Fox News that after 10 years, he makes in the lower $90,000 range and can work up to 98 hours at a stretch during the seven-day on, seven-day off rotation. He said Netjets pilots earn 40 percent less than counterparts at the large commercial airlines and that more than 30 percent are looking to leave. NetJets is a subsidiary of Berkshire Hathaway, so the standoff might surprise people who recall CEO Warren Buffett calling to raise taxes on people earning a million dollars or more. Asked by Fox News about these pilots, Buffett said their pay averages $145,000 a year, and the pilots happy with their schedules. The union says there were four years of bad blood with former NetJets CEO Jordan Hansell, a Des Moines native who left the company in June. Negotiations have since resumed, but the pilots are frustrated because they say the company refuses to disclose even who is on its board of directors. They believe Greg Abel of Des Moines, who runs Berkshire Hathaway Energy, is a NetJets board member along with NetJets CEO Adam Johnson and COO Bill Noe, and two others whose identities they do not know. But the CEO and COO refuse to confirm that or identify the two others, and my calls to spokespeople for Abel in Des Moines and NetJets in Columbus were not returned. But the union says that brand has been built up over a decade by its employees, and that the company's focus on “short-term profits” has been detrimental. Without knowing specifics, it's impossible to say whose case has more merit. But it does seem strange for a company to withhold information from employees about its board membership. Given the strenuous, skilled work they do, the pilots' pay is hardly lavish. And at a time of diminishing labor clout, it's refreshing to see them taking to the street — politely, of course — to ask for what they feel they deserve. Captain Jeff Stein, NJASAP Strike Prep Co-Chair in Des Moines Monday. Two police officers investigated over a social media post from the site of the Shoreham air disaster have quit the force, Sussex Police has said. The unnamed officers, aged 23 and 24, who were part-way through their two-year probationary period, resigned after a disciplinary hearing found they should be dismissed. The officers apparently videoed themselves and sent a "wholly inappropriate" message following the crash. Chief Constable Giles York said the pair were "remorseful" but added their behavior was "inexplicable" and had caused distress to families of the victims of the crash. The officers were investigated over a private online message sent to a colleague about the force's response to the disaster. The recipient immediately reported the incident and the two officers, based at Brighton and Hove, faced a disciplinary hearing for gross misconduct by the Professional Standards Department. Assistant Chief Constable Robin Smith, following the hearing on September 30, recommended the pair be dismissed before both offered to resign. Mr. York added: "The men, who have less than two years' service, are clearly remorseful and have acknowledged the impact of what they had done; but when it really mattered the officers failed to show understanding and compassion for the victims and their families. I am confident that they would not go on to become well-conducted officers. "The police service has a national code of ethics that we expect officers and staff to abide by - including showing respect and courtesy. Officers and staff can be forgiven for making genuine mistakes, but the behavior of these two officers was inexplicable and caused unnecessary distress to the families of those involved, for which we sincerely apologize." 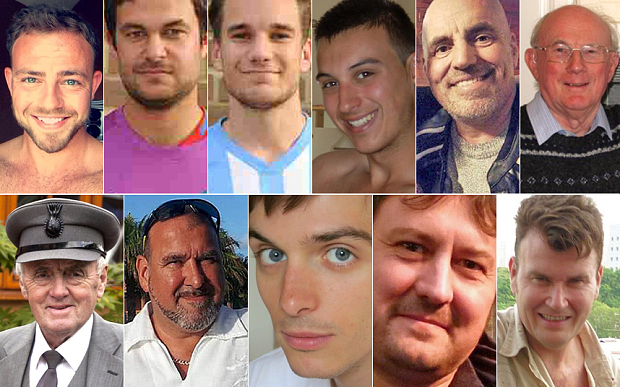 Top (L-R): Matt Jones, 24, Matthew Grimstone, 23, Jacob Schilt, 23, Daniele Polito, 23, Mark Trussler, 49, James Mallinson, 72. Bottom (L-R): Maurice Abrahams, 76, Mark Reeves, 53, Richard Smith, 26, Dylan Archer, 42, Tony Brightwell, 52. Hawker Hunter (G-BXFI), crashed onto public road during air display, near Shoreham Airport, August 22, 2015. Summary: The AAIB was notified of the accident at 1235 hrs on Saturday 22 August 2015 and immediately initiated a Field Investigation. 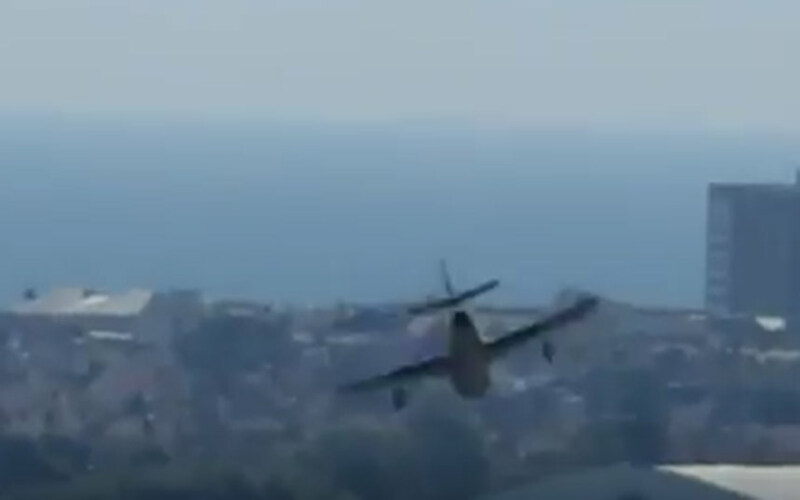 The aircraft was taking part in an air display at Shoreham Airport during which it conducted a manoeuvre with both a vertical and rolling component, at the apex of which it was inverted. Following the subsequent descent, the aircraft did not achieve level flight before it struck the westbound carriageway of the A27. This Special Bulletin is published to provide preliminary information gathered from ground inspection, radar data, recorded images and other sources. 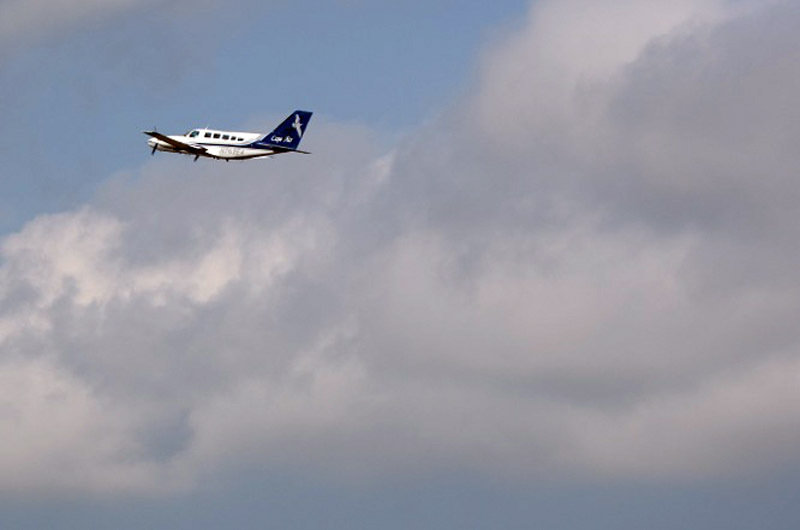 Two jets flew over Northeast Wisconsin on Tuesday. The jets were seen flying around 1 p.m. near Appleton, and residents were left wondering why they were flying overhead again. The Public Information Officer at the 115th Fighter Wing in Madison said that it was merely a training exercise, and they may be doing additional exercises Tuesday afternoon. The jets were in the Fox Valley skies today, completing what is called a fertile keynote. A fertile keynote is a term we use to describe our practice intercept missions. The Aerospace Control Alert jets need to be ready to go 24/7. 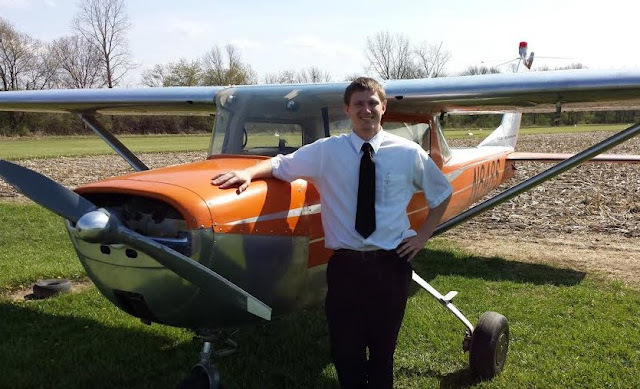 They get their practice all over the state of Wisconsin by teaming up with the Civil Air Patrol's Cessna aircraft. They locate the Cessna and practice scenarios they may face in a real-world situation. It's our way of staying up-to-date on training for our Homeland Defense mission - ready to protect our nation. On Sunday, low flying military jets were also seen. 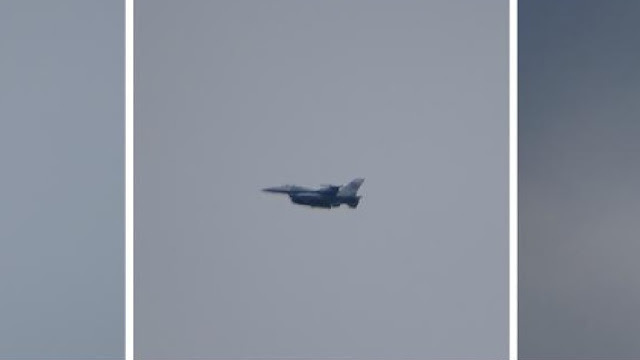 Four F-16 fighters flew a missing man formation around 3:00 p.m. Sunday. While the flyby came without warning, the jets were actually flying in honor of a deserving veteran aviator. A noisy noon hour in the Fox Valley skies left plenty of people concerned Tuesday. People called police, 9-1-1, and even the Fox 11 newsroom trying to find out why low-flying jets were in the area. If you were near Appleton's east side around noon, you likely looked up to see what was going on. "I heard a bunch of noise up in the sky and it seemed like it was going back and forth and I thought something was different, something was going on, I didn't know what," said Wanda Wyland of Appleton. Local police also didn't know what was going on. Multiple agencies, including Appleton and Fox Valley Metro Police departments, posted on social media that they were aware of the jets flying overheard, and would try to find out why. "I knew right away it was jets, because I was used to hearing that growing up with the blue angels practicing over our house, so I figured it was jets," said Marissa Gressler of Appleton. It turns out Gressler was right. The 115th Fighter Wing was practicing finding a Civil Air Patrol Cessna, trying to simulate a possible real life intercept mission. "The fact that it was over Appleton today, it could be over there in the future, however we practice in various locations throughout the state," said Major Paul Rickert of the Wisconsin National Guard. The practices happen every few weeks. However, the National Guard only has to let the FAA know when the practices will be. After a similar situation Sunday, Outagamie County Executive Tom Nelson wrote a letter to the 115th Fighter Wing. He wrote, in part, "without the benefit of advance warning, many residents are unnecessarily frightened and concerned by the sight and sound of low-flying F-16's overhead." "It was a pretty easy ask," said Nelson. "We got a quick response back from the 115th that when they do another flyover that they will make an effort to either get a hold of us or reach out to local media to alert people as to what's going on." While Tuesday's flyover was for training, Sunday's flyover was for a military funeral. Those flyovers are rare and must be coordinated by the family of the deceased with the Pentagon, according to National Guard officials. "We do our best to notify the public when there is going to be significant increased activity in their airspace," said Rickert. The National Guard says it tries to send out a notification if training is scheduled to happen at night or if there will be multiple planes flying over an extended period. Due to the popularity of recreational drones, there will be a temporary flight restriction in place prohibiting the use of drones in the skies above San Francisco during Fleet Week beginning Thursday. The “No Drone Zone” was created to ensure the safety of both airshow participants and spectators, according to the San Francisco Police Department. Drones, or unmanned, remote-controlled aircraft, are prohibited from roving the skies within a 5 nautical mile radius around the center point of the Fleet Week airshow, while aerial demonstrations are taking place. The center point of the airshow, which will include the Blue Angels performance, is just north of Crissy Field. The no-fly zone covers the area from the ground or water to 15,000 feet up in the air. The no-fly zone will be in place during the day from Thursday to Sunday. Anyone who flies an aircraft, or operates a drone, in the no-fly zone can expect the federal government to levy a fine of up to $10,000, according to the Federal Aviation Administration. The No Drone Zone hours will be from 1 to 6 p.m. on Thursday and from 11 a.m. to 5 p.m. Friday through Sunday. “Drones and Fleet Week do not mix,” FAA spokesman Ian Gregor said. All aircraft operations, whether manned and unmanned, are prohibited within the airshow area when the restrictions are in effect, according to the FAA. The use of recreational drones has recently interfered with efforts to fight forest fires by air in California. Cal Fire reported that “one of many recent incidents in which hobby drones have caused disruptions in the suppression of California’s major wildfires” occurred in July during the aerial attack on the North Fire near U.S. Highway 15 in the San Bernadino National Forest. Firefighting efforts were disrupted when several unmanned aircraft systems, or drones, were spotted and the firefighting aircraft were forced to land to avoid a potential collision with the drones. The fire burned 4,250 acres of land, and destroyed seven homes, 16 outbuildings and 44 vehicles. Motorists had to flee from their vehicles on foot because aircraft were unable to operate in the area, according to Cal Fire. A public service announcement released by Cal Fire last month discouraged hobby drone operators from flying their drones anywhere near firefighting activity, for the safety of pilots, firefighters and residents. “A collision with a hobby drone could cause damage, injury or even death. We need your help. Don’t make our jobs even more dangerous,” firefighting pilots imparted to viewers via YouTube. FAA policy administrator Rich Swayze has said that the FAA expects up to 1 million unmanned aerial vehicles to be sold during the holiday season this year. The increase in drone popularity has forced the FAA to enforce air restrictions such as the one that will be in place during San Francisco’s Fleet Week. The San Francisco Examiner previously reported that The City is considering putting eyes in the sky with a variety of deployment situations ranging from fighting fires to checking for city permit compliance. The US company due to take over support operations at Bermuda’s airport yesterday pledged to retain all 40 staff from outgoing contractor BAS Serco. Atlanta-based CI² beat BAS Serco, which has held the contract for 20 years and will take over at the end of March next year. The firm will run air traffic control, weather services, ground electronics and airport maintenance. 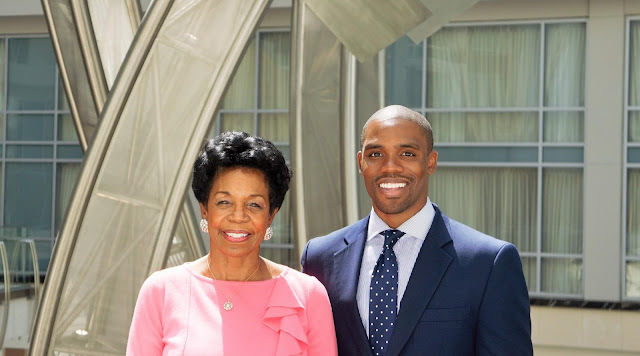 CI² founder and president Andrella Kenner, who made a flying visit to Bermuda last week, said: “In our industry, risks are inherent in everything we do. “It involves understanding, managing and critical thinking to ensure we meet objectives and maintain quality. “To accomplish this, it takes a dedicated professional workforce which is what defines the CI² Aviation culture. The Royal Gazette revealed last week that BAS Serco had lost the contract it had held since 1995. He added that CI² also held offshore air traffic control contacts in Puerto Rico and the US Virgin Islands and had longstanding relationships with the US Federal Aviation Administration (FAA). And Mr Adderley said that CI²’s management of airspace bordering US national airspace was a “strong advantage” because Bermuda’s airspace also runs into US air territory and is at present managed by the FAA. He added that CI²’s US and international operations also offered extra training and career development opportunities for Bermudian employees. Ms Kenner said that her company would provide safe and efficient aviation and air navigation to passengers passing through the LF Wade International and to travellers travelling through Bermuda airspace. The award-winning firm, which also has an office in Washington DC, is the only African-American owned company that provides air traffic control services to the Federal government. CI² also supplies air traffic control and weather observation to a total of 20 air traffic control towers in the US. And the company said its “most outstanding accomplishment” was more than 20 million aircraft operations and more than 18 years with no fatalities attributed to controller error. U.S. regulators proposed a record fine for alleged unauthorized drone flights as they intensify efforts to crack down on unmanned aircraft that they say are endangering U.S. skies. The Federal Aviation Administration Tuesday proposed to fine SkyPan International Inc., a small Chicago-based aerial-photography firm, $1.9 million in connection with allegedly flying drones in restricted airspace above New York and Chicago 65 times from March 2012 through December 2014, including 43 flights near New York’s large airports. Previously, the FAA’s largest proposed penalty for unauthorized drone flights was an $18,700 fine issued recently. Companies can appeal proposed penalties to the agency. Karl Brewick, SkyPan’s production coordinator, said the company had just received notice of the penalty and declined to comment. The use of drones has surged in the U.S. in recent years as technological advancements have made them smaller, cheaper and easier to fly. The FAA has struggled to keep up as drones have flown close to manned aircraft and crashed in crowded areas, and even the White House lawn. The FAA requires that drones be kept below 400 feet and at least 5 miles from airports. In recent months, it has stepped up a public campaign to keep drone users away from high-profile events like the Super Bowl and the papal visit. “With unmanned aircraft, a whole new class is coming in and these are people that may not have any previous flying experience or knowledge of flight rules.” Mr. Huerta said. SkyPan sells aerial images to companies and cities for building, planning and marketing. Its website includes images and video of New York and Chicago, including for promotions for the city of Chicago. Mr. Huerta said the FAA issued several warnings to SkyPan that its flights violated FAA rules “and they chose to disregard them.” He said SkyPan stopped violating the rules this year, and the FAA approved SkyPan to use drones commercially after it submitted a plan to mitigate risk. Before 2014, the FAA effectively banned the commercial use of drones. The agency sent warnings—and in several cases, small fines—to companies that violated that rule. Late last year, the FAA began authorizing commercial drone flights, and has since authorized more than 1,740 companies. The FAA said it expects to finalize by next year rules that would pave the way for widespread commercial drone flights. Injuries: 1 Serious, 5 Minor, 164 Uninjured. On September 8, 2015, about 1613 pacific daylight time (PDT), British Airways flight 2276, a Boeing 777-200, equipped with two GE90-85B engines, registration G-VIIO, experienced a #1 engine uncontained failure during takeoff ground roll on runway 7L at McCarran International Airport (LAS), Las Vegas, Nevada. The #1 engine, inboard left wing, and a portion of the left and right fuselage sustained fire damage. Resulting fire was extinguished by airport rescue and fire fighting. The 157 passengers, including 1 lap child, and 13 crew members evacuated via emergency slides on the runway. There were 5 minor injuries and 1 serious injury as a result of the evacuation. The airplane was substantially damaged. The flight was operating under the provisions of 14 Code of Federal Regulations (CFR) Part 129 and was en route to London - Gatwick Airport (LGW), Horley, England. Following an uncontained engine failure and fire as a British Airways 777 jet took off in Las Vegas last September, the Federal Aviation Administration is initially mandating inspections of a small number of in-service engines. These are expected to be completed this week. Following an uncontained engine failure and fire as a Boeing-built British Airways 777 jet took off in Las Vegas last September, the Federal Aviation Administration (FAA) is initially mandating inspections of just six specific engines of similar age, configuration and usage flying in the U.S. The FAA airworthiness directive, set to be published Tuesday in the Federal Register, requires an inspection of three metal disks in the innards of the six GE-90 engines, and replacement of the parts if any anomaly is found. GE spokesman Rick Kennedy said only one of the six engines listed by the FAA remains to be inspected and that one will be done this week. Kennedy said GE anticipates inspecting a second small set of engines once the first set of inspections is complete, and it expects another FAA airworthiness directive to make this mandatory. The required ultrasonic inspections are conducted without removing the engines from the wings of the jets. In the Sept. 8 incident, a metal disk in the high pressure compressor section of the engine core broke apart explosively on take-off, shooting out hot metal fragments that pierced the engine, the pod surrounding the engine and the wing of the airplane and igniting a serious engine fire. The pilot aborted the take-off, slammed on the brakes and ordered an evacuation. All 157 passengers and 13 crew on board were able to exit safely on emergency-escape slides from the right side of the aircraft as fire engulfed the left side. The engine involved in this first uncontained failure of any GE-90 was one of the first built for the initial 777s after 1995. About 400 engines of this early GE-90 type are now in service on 167 airplanes. More recently built 777s have a different configuration. The National Transportation Safety Board (NTSB), which is in charge of the accident investigation, has not released any information on whether the initial inspections turned up any anomalies. Work is nearing completion on the British Airways Boeing 777 that caught fire after an aborted takeoff in Las Vegas in September, but airline officials aren't saying when the plane will be flown from McCarran International Airport. A construction tent that had been placed over the hull of the wide-bodied jet has been removed. An aluminum alloy skin patch appears to have been placed on the port side of the aircraft. The port-side jet engine that had been removed last year has yet to be replaced. "Safety is always British Airways' first priority," a spokeswoman for the London-based airline said in an email. "A team from Boeing is carrying out the repair work, which will be certified to the same high standards as if the aircraft was brand new. The aircraft will resume flying once stringent checks have been completed." The spokeswoman said no timeline has been set for when the aircraft would resume flying. While parked at McCarran, British Airways is paying $375 a day in fees and by the end of February, the bill would reach more than $53,000. The jet, a twin-engine Boeing 777-200ER, was scheduled to fly as British Airways Flight 2276 from McCarran to London's Gatwick International Airport on Sept. 8. Midway through its takeoff run, before the plane lifted off the ground, the jet's left engine experienced an uncontained failure that started a fire. Debris spewed out of the engine and onto the runway. The pilot shut down the engine and aborted the takeoff and while McCarran's emergency response crews sped to the burning plane, the plane's 157 passengers and 13 crew members began evacuating on emergency slides. A preliminary National Transportation Safety Board report in October said the "left engine and pylon, left fuselage structure and inboard left wing ... were substantially damaged by the fire." Officials reported 14 people suffered minor injuries, most of them as a result of a rough ride down the emergency chutes. The runway was closed for four hours. Aviation experts initially said they expected the plane's insurers to declare the aircraft a "hull loss," meaning that it was too damaged for repair and that it would be disassembled for parts. In December, the airline determined that the plane's damage was suitable for repair so a plan was established to bring repair crews to McCarran to make the jet airworthy. 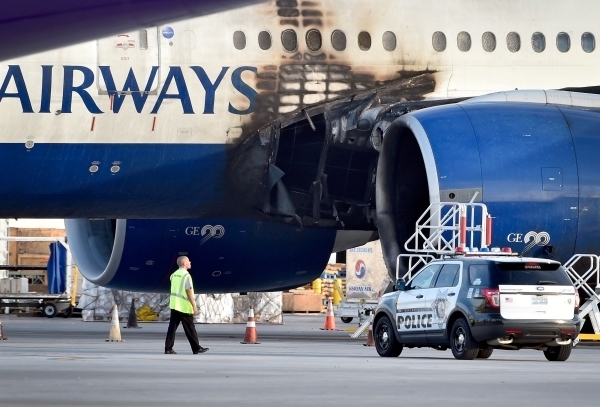 Story and photo: http://www.reviewjournal.com The company that made an engine that caught fire as a British Airways plane was taking off from Las Vegas is inspecting other engine parts as part of a federal investigation of the incident. 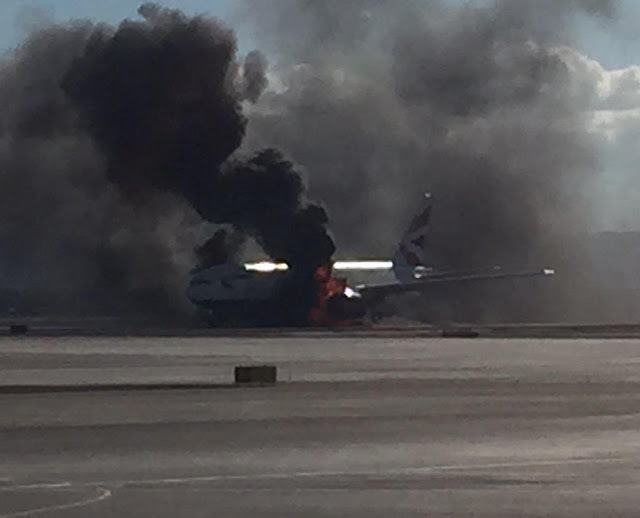 On Sept. 8, British Airways flight 2276 was on a McCarran International Airport runway bound for London when the crew screeched the plane to a halt as flames billowed. All 157 passengers and 13 crew members survived, some with minor injuries. Updated findings released Tuesday by the National Transportation Safety Board indicated the fire started with the spool in the left engine. The spool's function in the high-pressure compressor gives the plane power, making it a key part of the engine. "We're doing a full pare down of the spool and analysis of the components," said Rick Kennedy, a spokesman for GE Aviation. The twin-engine Boeing 777 was built in 1998 and registered to British Airways a year later. By the end of 2013, it had flown nearly 77,000 hours, according to the British Civil Aviation Authority. GE90 engines are used in most Boeing 777s. GE Aviation said that the spool, which holds the blades in the GE90-85B engine, was among the first ever made for that model in 1995. The manufacturer is voluntarily analyzing 38 similar spools that are about the same age but are out of service awaiting maintenance and repairs. Other inspections of working engines are expected. "The 38 will help us decide what engines might need to be inspected," Kennedy said. GE said this is the first engine failure of its kind, as spools can be similar in design but are not built identically. There are about 400 base GE90 engines being used to power 167 planes. NTSB spokesman Eric Weiss said there's no talk about grounding any planes with similar spools. The NTSB also said the case will be analyzed to determine a probable cause after the current fact finding process. A final report won't be issued for several months. British Airways and Boeing declined to comment. The Federal Aviation Administration couldn't immediately be reached. 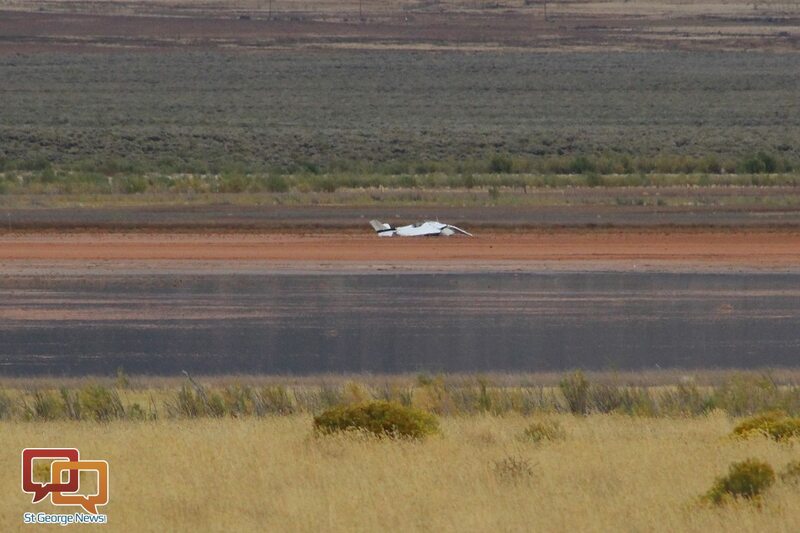 On October 5, 2015, at 1300 mountain daylight time, a Cessna 152, N6449M, impacted a dry lake bed about 6 nautical miles southwest of Cedar City Municipal Airport (KCDC), Cedar City, Utah. The two flight instructors were fatally injured, and the airplane was destroyed by impact forces. Upper Limit Aviation was operating the airplane under the provisions of 14 Code of Federal Regulations Part 91. The local company check flight departed KCDC about 1215. Visual meteorological conditions prevailed, and no flight plan had been filed. The operator reported that the purpose of the flight was for the chief pilot of the flight school to demonstrate the airplane to a newly hired flight instructor. Witnesses saw the airplane performing various maneuvers over the dry lake bed, which was used as a training area. One witness reported that, just before the accident, the airplane was descending in a near vertical fashion in a slight nose-low attitude and looked "like a fluttering leaf." The airplane was equipped with an on-board flight tracking system that uploaded recorded data points via satellite to the operator every 2 minutes. The unit retained the recorded data in non-volatile memory at 5 second intervals. The unit was downloaded, and a review of the last 14 minute segment of flight data showed the airplane departing from KCDC at 1246 using runway 26. The data showed the airplane making a right turn to the north at 1248:04. The airplane continued the right turn and made a touch-and-go landing on runway 20. At 1251:04, the airplane was climbing away from the runway. The flight track continued southwest toward the accident location. At 1256:04, the flight track passed over the accident site elevation (5,457 ft) at an altitude of 7,656 ft mean sea level (msl) and continued southwest in a gradual climb. The flight track showed a gradual left turn followed by a widening right climbing turn back toward the north. At 1259:49, the airplane's altitude was 8,661 ft msl, and the data then showed a descent to 8,179 ft msl during a 15 second period. By 1300:04, the airplane had climbed to an altitude of 8,353 ft msl. At 1300:19, the airplane was at an altitude of 8,559 ft msl (about 3,100 ft above ground level), and the remaining 35 seconds of data showed a near vertical descent toward the accident location. The last recorded data point at 1300:54 showed that the airplane was over the accident site, had a ground speed of 40 knots, and was at 5,580 ft msl. The two-seat, high-wing, fixed-gear airplane, serial number 15284733, was manufactured in 1980. It was powered by a 125-horsepower Lycoming O-235-L2C engine and equipped with a Sensenich 70CKS6-0-52 fixed-pitch propeller. Review of copies of maintenance logbook records showed that an annual inspection was completed on July 17, 2015, at an hour meter reading of 99.4 hours, airframe total time of 9,678.2 hours, and engine time since major overhaul of 99.4 hours. Examination of the maintenance and flight department records revealed no unresolved maintenance discrepancies against the airplane before departure. Fueling records at KCDC established that the airplane was last fueled on October 5, 2015, with 14 gallons of 100-octane aviation fuel. The operator calculated, based on previous flight records, that the airplane departed with a total of 23 gallons of fuel on board. The current weight and balance documentation for the airplane was found in the airplane flight manual. The maximum gross weight for the airplane was 1,670 pounds. The gross weight at departure was estimated at 1,709 pounds. Based on estimated fuel burn and flight time, at the time of the accident, the airplane had a gross weight of 1,681 pounds. Investigators examined the wreckage at the accident scene. The damage to the airplane was consistent with impact in a right-wing-low, nose-down attitude. There were no ground impact marks around the airplane to indicate any forward momentum. Both fuel tanks exhibited hydraulic deformation in a downward direction and were breached. The outboard right wing leading edge exhibited tapering compression damage. The left wing was canted forward, and the right wing was canted aft. All primary flight control surfaces and major system components were identified and located at the wreckage site before the wreckage was recovered. The aileron and flap cables were cut by recovery personnel at the wing roots. The Utah Department of Health, Office of the Medical Examiner, conducted postmortem examinations of both pilots. The cause of death for both pilots was reported as blunt force injuries. The Federal Aviation Administration's Bioaeronautical Sciences Research Laboratory, Oklahoma City, Oklahoma, performed toxicological testing of specimens of both pilots, which were negative for carbon monoxide, cyanide, volatiles, and tested drugs. After the wreckage was recovered, the engine was separated from the main wreckage and placed on a table to facilitate examination and disassembly. The propeller hub remained attached to the engine. Both propeller blades remained straight and exhibited no damage indicative of rotation at the time of impact. Engine compression and valve train continuity were established. The magnetos produced spark at all leads. The top spark plugs appeared new. The fuel strainer bowl was full of fuel, which tested negative for water, and the strainer screen was clean. The carburetor was impact displaced and was embedded in the left lower firewall. It was fractured radially at the throttle plate. The float bowl was removed and about 10 drops of fuel were observed and tested using Kolor Kut water disclosing paste with negative results. Hydraulic deformation was observed on one of the floats. All fuel lines were empty of any liquid. The fuel selector was removed, examined, and determined to be in the "ON" position. On October 5, 2015, at 1303 mountain daylight time (MDT), a Cessna 152, N6449M, impacted a dry lake bed approximately 6 nautical miles southwest of Cedar City Municipal Airport (KCDC), Cedar City, Utah. Upper Limit Aviation was operating the airplane under the provisions of 14 Code of Federal Regulations (CFR) Part 91. The airline transport pilot/certified flight instructor (CFI) and commercial pilot/CFI undergoing a company check flight, were fatally injured; the airplane was destroyed by impact forces. The local company check flight departed Cedar City about 1215. Visual meteorological conditions prevailed, and no flight plan had been filed. Witnesses observed the pilot performing various maneuvers in the airplane over the dry lake bed, which was typically used as a training area. A witness observed the airplane in a nose-low descent and fluttering leaf before it impacted terrain. The airplane was equipped with an on-board flight tracking system that recorded data points every 2 minutes. The last recorded data point indicated that the airplane was approximately 3,500 feet above ground level (agl) above the accident site, with a ground speed of 40 knots. The airplane was documented on scene, and recovered to a secure storage facility. Any witnesses should email witness@ntsb.gov, and any friends and family who want to contact investigators about the accident should email assistance@ntsb.gov. Photo courtesy of Upper Limit Aviation. Alan Carver with student, Stacy, before her first flight. 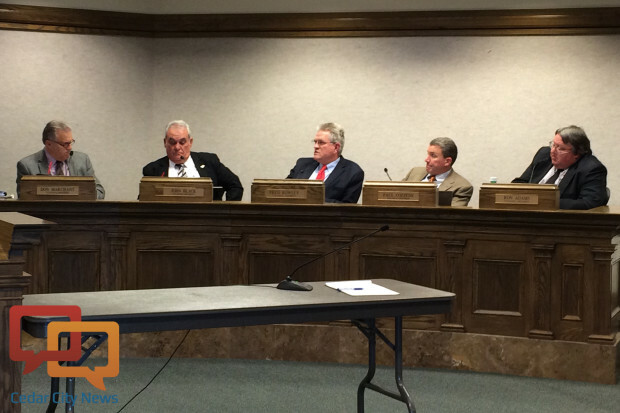 CEDAR CITY – The death of two Upper Limit Aviation instructors weighed heavily at the Council Chambers at Wednesday night’s Cedar City Council meeting, despite discussions of matters as usual concerning business ownership transfers and back-owed utility bill waivers. On behalf of Upper Limit Aviation and the families of the two men who died in Monday’s plane crash, Upper Limit Aviation Communication and Business Relations Manager Scott Jolley addressed the City Council to express gratitude to the first responders who were at the scene Monday. The Cedar City Regional Airport manager has been instrumental support for Upper Limit as they have responded to the tragedy, Jolley said, explaining to the City Council how the manager spent his anniversary helping the flight school with the crash and helped to recover the plane from the crash site. The aircraft was recovered and taken to Phoenix for further investigation to see if National Transportation Safety Board experts can better understand why the crash happened in the first place. It is still unknown why the plane went down the way it did, Jolley said, but what is known is that shortly before the crash, everything was going along as normal. Nathan Stoddard, 24, was new, Jolley said, and it was his second day on the job. Stoddard was receiving instructor proficiency training so he could take on students the following day. Retired Lt. Col. Command Pilot Alan Carver, 50, was providing the training Stoddard would need to take on new students. 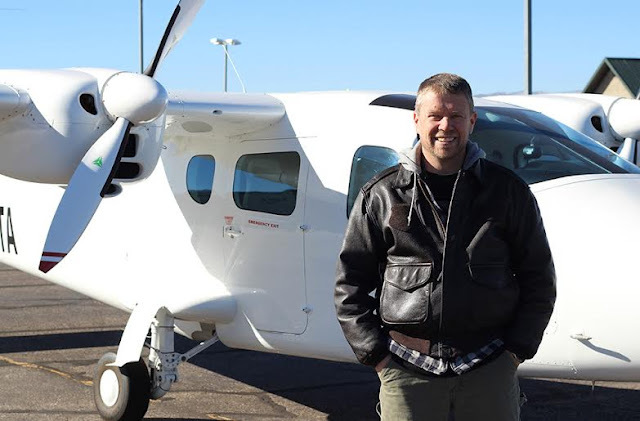 Southern Utah University grief counselors were brought in to Upper Limit Aviation’s staff meeting Wednesday morning to ensure staff members have the support they need to deal with the emotional components of such a terrible loss, Jolley said. Originally, all of Upper Limit Aviation’s planes were grounded until after the funerals of the two men who lost their lives Monday, Jolley said, but flights are now set to resume on Tuesday instead of waiting for Stoddard’s funeral, which will take place later next week. It was a concern that waiting too long would put rusty pilots back into aircraft, Jolley said, but he reassured the council no student will be forced to fly if they do not feel at ease in the sky – not just in the wake of this tragedy, but as per company policy. Carver will be laid to rest Monday, Jolley said, with a viewing Sunday evening that will be open to the public. Sunday’s viewing will take place from 5 to 7 p.m. at Southern Utah Mortuary, according to an obituary published in the Deseret News. A second viewing will take place Monday from 12:30-1:30 p.m. at the Cedar North Stake Center, 95 N. 2125 West in Cedar City, and funeral services will begin at 2 p.m. at the stake center. In lieu of flowers, a memorial fund has been set up in Carver’s name at Mountain America Credit Union. 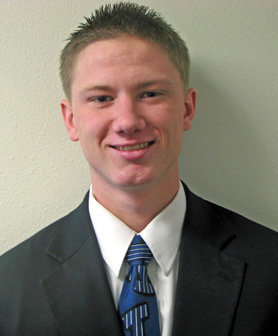 Stoddard’s funeral will be Thursday in West Point, Utah, Jolley said. 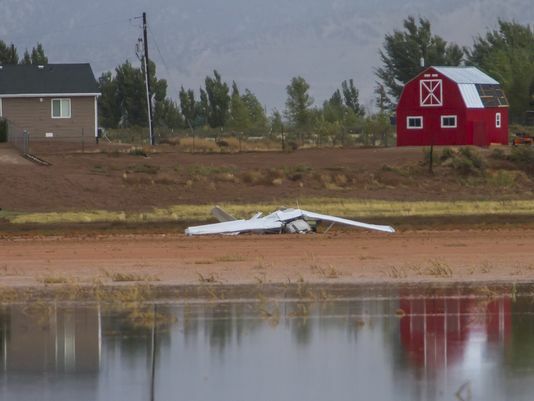 - A Cessna 152 crashed at approximately 1:01 p.m. in Lake Quichapa, a dry lake, about 6 miles south west of Cedar City. - The plane crashed 200 yards from residential structures. - No damage occurred to any structures and those living near by notified police. - The crash is currently under investigation by the National Transportation Safety Board. - Both pilots were found dead on the scene by the Iron County Sheriff Department. - Alan Carver, age 50, was the chief flight instructor for fixed winged aircraft. o Retired Lt Col Command Pilot with the United States Air Force. o Began working at SUU July 2013.
o Carver has logged more than 6,000 flight hours. o Married with three children, one child is currently serving a religious mission for the Church of Jesus Christ of Latter-day Saints. o Master’s of aerospace composites from Utah State University. - Nathan Stoddard, age 24, recently moved to Cedar City from Salt Lake City, Utah. o Recently worked at Keystone Aviation as a transportation agent. o Graduated from Lamar Community College with associate's of business degree in 2013.
o Graduated from Syracuse High School in Syracuse, Utah in 2009.
o Began working for Upper Limit Aviation October 2, 2015. - Upper Limit Aviation has been in partnership with SUU since May 2013.
o 255 students currently in the SUU aviation program. o “Upper Limit Aviation has been in operations since 2004 and constantly strives to provide the safest environment possible for its employees and students,” said by Mike Mower, chief operating officer and chief flight instructor for rotor wing. How rare are pilot deaths on commercial flights?